The role of our Montessori teacher and their assistant teacher is a very special one. Our teacher is known as a directress, who observes the children and ensures that the environment is appropriate for their growing skills helping to guide and direct the children. Their preparation of the environment deliberately fosters the children’s growing independence. Children have their own, real, child-sized fitted kitchen, with a sink, and small dishwashers, a carefully thought-out classroom and access to the garden via a slide….. The children are able to choose from the fully equipped Montessori environment, and the materials are presented to them using the Montessori method. 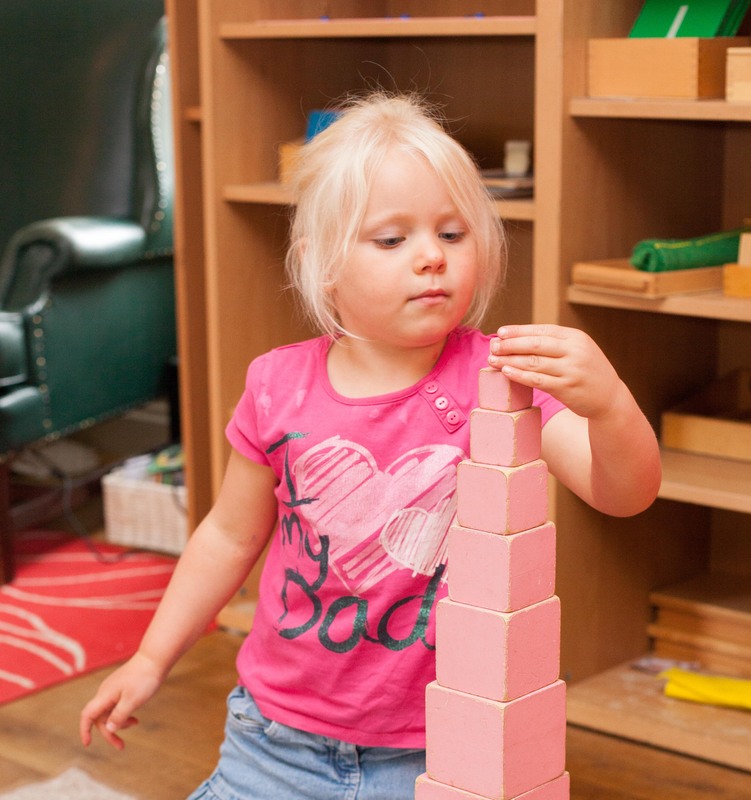 Information about the Montessori Method is outlined here. At TCG we trust in the children’s ability to grow and develop autonomously. Each piece of Montessori material has been especially designed to offer independent working once the teacher has introduced it to the child. Each lesson isolates a difficulty, for example how to use scissors. We show “open, close,” demonstrating rather than explaining. We separate the use of the scissors from the flower arranging that involves using the scissors. In this way, the child is only mastering one new skill at a time. She becomes independent because she can wholly focus on each small skill, not overwhelmed. Owner Claire Kenyon and Deputy Manager Annabelle Ward are also Montessori trained so that the ethos is embraced throughout the entire nursery. It is recommended that parents interested in learning more about this wonderful and meaningful method of encouraging young children to learn, arrange for a special visit with our Montessori staff, who will be happy to talk in more detail. We hold Open Days and Evenings and can arrange individual visits at a convenient time for you.